Let Others Happily Build Your List For You...Guaranteed Or Your Money Back!" If you don't have an email list, then you are missing out on thousands of dollars in profits each and every week. Many business owners make a lot of their money off of their lists, and now you can too. It takes time to build a list if you do it all yourself. "I’ve been trying to build my list, but I can’t seem to do it! I've spent countless among countless of hours...What next?" "I wish I could build my list faster, yet retain the quality of the list"
...and Yes, you can let others build your list for you, and still have that relationship built with your prospects if it is done right. From video 4, you may have gotten a few ideas about what you should giveaway. 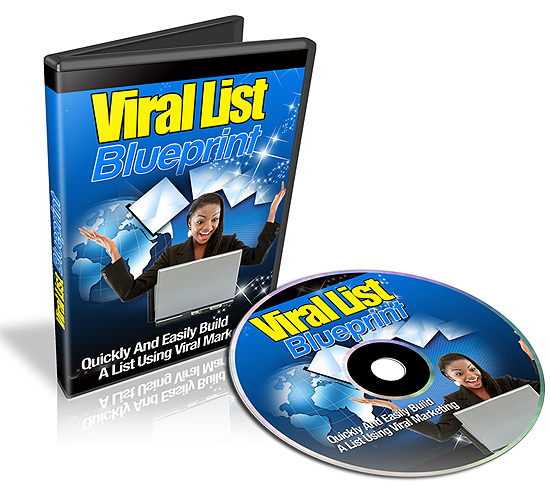 In this video, you will learn how to create your viral product that will ultimately bring in leads for you for years to come. Creating products isn't a hard thing to do. As long as you know how to do it right, you can create it within a few days or less. By now, you will have a viral product in hand for your list builders to giveaway. In this video, you will learn how to find people who will happily build your list for you. Now the question is who would actually want to do that? You'll be surprised to learn that hundreds and thousands of people will, but you have to target these people to jump start your list growth. So...with that said, grab this video series now and start making even MORE money by building a quality based email list. You can view this video immediately after your purchase, so you don't have to wait until I wake up or even if I'm in a different ime zone. P.S. This is the most risk-free way to get other people to happily build your list for you. P.P.S. Learn the secrets of building your list on steroids!